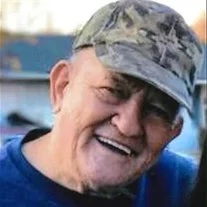 Marvin Joel Farrow, 82, of Ringgold, passed away Saturday, March 16, 2019 at his residence. A lifelong resident of the Ringgold area, he was a former employee of Candlewick Yarns, where he worked for 35 years, and was of the Baptist faith. He is preceded in death by his son, James Farrow; parents, William “Buster” and Nellie Cureton Farrow; three sisters, Helen Inman, Lillian Brown and Dora Mae Stanley; and two brothers, James Farrow and Larry Farrow. He is survived by two children, Ron (Ginni) Farrow, of Chattanooga and Christina (Gabriel) Huerta, of Ringgold; two sisters, Margaret Smith and Barbara (Tim) Canales, both of Ringgold; three brothers, Bill Farrow, Robert Farrow and Danny (Debbie) Farrow, all of Ringgold; six grandchildren, Cade Gilbert, Callie Gilbert, Cameron Tarver, Andre Tarver, Alexandrea Huerta and Gabriel Huerta; and several nieces and nephews. Visitation will be held on Monday, March 18 from 3-8 p.m. at the funeral home. Private graveside services will be held at a later date. In lieu of flowers, the family requests donations be made to the Alzheimer’s Association or to the Catoosa County Animal Shelter.